Shake up your training on Tuesdays with our free coached track workouts! 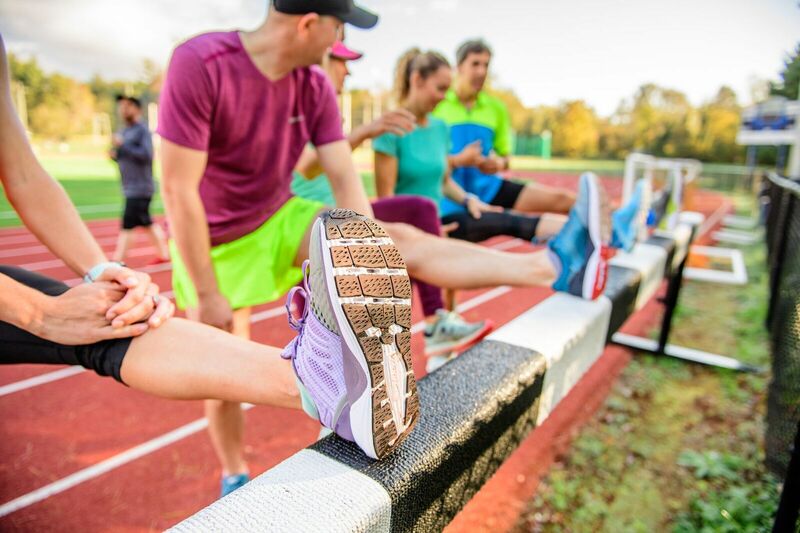 This 10 week track program is an opportunity for you to become a faster, stronger and more efficient runner regardless of your preferred distance. A thorough dynamic warm up will be part of each workout. Each workout will have experienced coaches and mentors to provide support. Educational seminars will be offered to the group throughout the session. Speed Demons will be given structured interval workouts with distances ranging from 3 to 6 miles depending on your pace. Hydration will be provided. In the event of extreme heat, there will be a water cooling station set up. This is a FREE training group open to everyone! Program Schedule: 10 weeks- Tuesdays at 5:45 p.m. Description: Track workouts aren't about being the fastest or competing with others. It's about challenging yourself to become faster than you were before. This high-intensity and fun track workout program will help you become faster, stronger, and more efficient.